Matthew D. Hall is currently Senior Product Manager in charge of Corporate Partnerships for Porsche Digital, Inc., based in San Jose, California. A former collegiate athlete, competitive cyclist and active automotive enthusiast, Matt has a passion for pushing boundaries. He is keenly interested in the promotion of new autonomous technologies while preserving the spirited driving experience (most notable from the Porsche brand). 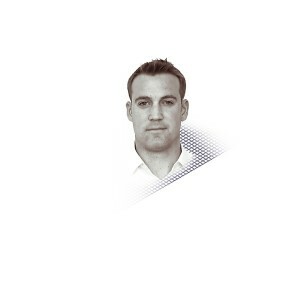 Matthew has deep expertise in the automotive industry working first as a management consultant, then part of the founding team of an innovative mobility startup and finally with OEMs Mercedes-Benz R&D and Porsche Digital. Among the areas Matt is most recognized for are building innovation teams, crafting user centric products and driving forward-facing mobility solutions.